Scale your living room for comfort with this stunning upholstered chair ottoman. The piece carries a plush seat cushion and features brass nails detailing. There will be so much to be pleased about with this beautiful ottoman. 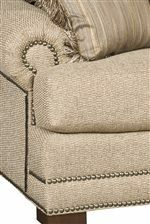 The Barclay Ottoman w/ Nailhead Trimming by Biltmore at Morris Home in the Dayton, Cincinnati, Columbus, Ohio, Northern Kentucky area. Product availability may vary. Contact us for the most current availability on this product. 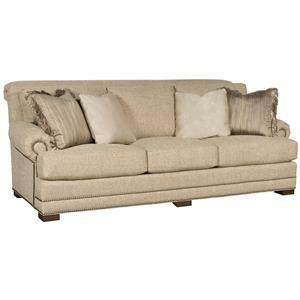 Scale your living room for comfort with the stunning upholstered Barclay collection. 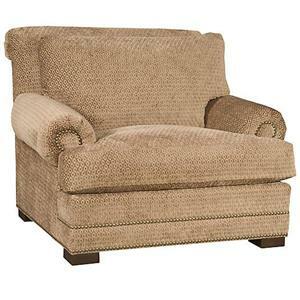 The piece carries plush seating and tall back for ideal relaxation. The outback is designed with a gentle scroll accented with brass nails. There will be so much to be pleased about with the beautiful Barclay collection. The Barclay collection is a great option if you are looking for Transitional furniture in the Dayton, Cincinnati, Columbus, Ohio, Northern Kentucky area. Browse other items in the Barclay collection from Morris Home in the Dayton, Cincinnati, Columbus, Ohio, Northern Kentucky area.